As my beautiful lady and I were walking out of a resort, we noticed crowd of people waiting for a banquet to start. We thought nothing of it and continued on. However, as we drove away, a fire truck sped into the entrance of the resort. Well, CRAP. Was that group of people we passed actually waiting for 911 instead? Did I just walk passed a group of people experiencing the bystander effect? I felt terrible for being so close to a potential emergency and not even knowing it. However, this gave me an idea. 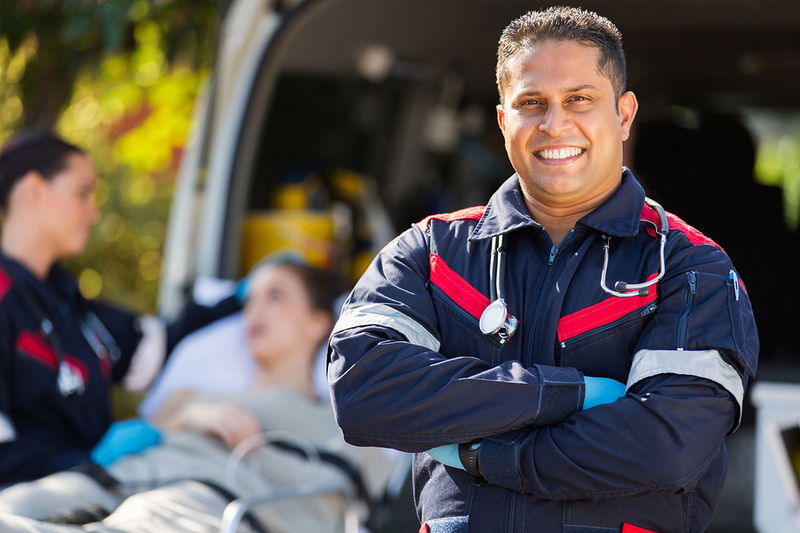 What if there was a way an off-duty EMT, firefighter, nurse, doctor, or just plain ol’ nice guy that took CPR class once could be alerted whenever a health crisis is near? Well, apparently there is one! Israel’s national EMS agency, Magen David Adom (which sounds a lot cooler than you are probably saying in your head right now) came out with the “MDA Crews” app which alerts registered volunteers of any medical emergencies close by. More than 11,500 people have already registered as volunteers for this program, and tens of thousands more are hoped for (1,2). Here in the States, we have PulsePoint Respond, a similar smartphone app that will alert users to collisions, medical emergencies, fires, and even locations of registered AEDs. You can even add AED locations using their “PulsePoint AED” app. However, this will only work if stations in your area are subscribed to it, and unlike MDA’s app, PulsePoint’s app has no screening/credentialing process, and users do not have to register (1,3). This brings up some concerns. Anyone, with or without medical knowledge, can see the location of the person in need and the type of distress they are in. For a society that loves red-tape, HIPAA regulations, OSHA regulations, and a society that keeps their lawyers on speed dial, this has the potential to turn hairy. Fortunately, most states have a Good Samaritan Act which prevents people who render care from being held liable, unless they have been determined to be grossly negligent. While this is not legal advice and I most certainly am not an attorney, responders are encouraged to check state law to ensure a better understanding and prevent any liability. Additionally, the agency providing information to PulsePoint has seen the value in having Good Samaritans provide assistance from the public over potential privacy concerns. Those concerned about their privacy may rest at ease knowing that the identify of the person experiencing the emergency is not released. PulsePoint. PulsePoint explains that only the location of public places are provided to potential good samaritans. (3). When registering the AEDs, I sure hope there is some sort of verification process. Nothing would piss me off more than running to the location of an AED, and, instead, I’m face to face with a pack of Huggies Ultra Dry diapers, because Buster McThundertroll decided it’d be funny to tag aisle 5 at Safeway as the location of the AED. Regardless, I think this is a great step in the right direction! Many people are CPR/AED trained, yet very few actually use the skill. This app can help get this expertise out there saving lives. Are there any other apps out there that do the same? Let me know! Jaffe, Eli, Refael Strugo, and Oren Blushtein. “Israel’s National EMS Agency Adds a Fourth Pillar of Response.” EMS1. April 25, 2016. Accessed June 24, 2016. http://www.ems1.com/volunteer-rural-ems/articles/84502048-Israels-national-EMS-agency-adds-a-fourth-pillar-of-response/. “Magen David Adom Faithful Life Project.” Magen David Adom in Israel. March 10, 2016. Accessed June 24, 2016. https://life.mdais.org/. “Enabling Citizen Superheroes.” PulsePoint. Accessed June 24, 2016. http://www.pulsepoint.org/pulsepoint-respond/.